Edutainment or educational entertainment for the uninitiated remains an ever popular outlet used by parents to arm their children with the knowledge to excel in their studies. With little supervision required and the fun, engaging nature of such educational programs that can be bought digitally, education as we know it has changed tenfold. How many times have you been on your daily commute to work and seen a child deeply engrossed in a tablet or mobile device or some sort? Now go back and think when was the last time you saw a child interacting with something other than a gadget? Having a hard time recalling? Yes, you’re not alone as a recent report by Common Sense Media has found that over one-third (38 percent) of children from the ages of 0-8 use electronic devices on a daily basis. Despite the introduction of various gadgets, the TV still remains an ever popular source of entertainment for kids under the ages of 8, with a staggering 44 percent of them having tubes in their rooms. All of the children surveyed watch on average 100 minutes of television or DVDs per day, as compared to only 29 minutes reading or being read to – despite doctors warning against the ill effects of too much binge watching. “Recently, the American Academy of Paediatrics reaffirmed their position that children under age 2 should not engage in any screen time, yet the data shows infants and toddlers are growing up surrounded by screens,” says James Steyer, CEO and founder of Common Sense Media. So the question remains; how do we make sure that our little ones grow up to be upstanding adults, and not couch potatoes? Here are some things that can help your child nick the habit in the bud. Engage in crafts every week. Crafts may seem girly, but by cutting paper through careful movements, crumpling tissue paper, and doodling; they help build the hand muscles that kids will need for writing. While it may not be feasible to include a craft session on a daily basis, commit to do at least 3 of them a week. Too much screen time is bad. Setting a limit on the hours that your family can spend on electronic devices will free up precious time that can be shared bonding. While detaching yourself from your iPad may be difficult, by leading through example, it will show your kids that even adults need a break from technology once in awhile. Engage in a cosy story telling session. Through engaging stories that are either read or spoken aloud, it will open up a whole new imaginative world to your child that extends beyond Bikini Bottom. Even if your preschooler isn’t able to speak any words just yet, hearing a plethora of new stories can widen her vocabulary and help foster a love for the books. Engage in outdoor activities. Take time away from technology to invest yourselves fully with nature. With no nagging phone calls or unread emails to distract your family from soaking in the view of the vast landscape, you can enjoy fully enjoy yourselves. This will also help your family take a technological breather and get in touch with the other senses – that are often blinded by TV and computers. Invest in open-ended toys. Television, cartoons and video games rob children of their ability to pretend play and imagine a world that exists beyond the one that lies in front of them. Rekindle their imagination with simple toys such as LEGOs, stuffed toys, colouring pencils, and various objects of differing shapes to hone their craft. Plan a tech-free family outing. Arrange a day at the park, zoo, beach or botanical gardens for the family, and leave all gadgets at home. Without the distractions of a smart phone, you will be free to engage with your children and be able to make lasting memories. Cook a meal together. Cooking skills may seem tough for your child to learn, but through participating in the kitchen, many invaluable traits can be learned and honed. Stirring, measuring the correct dosages of ingredients, and cracking eggs are all safe ways to introduce the concepts of healthy eating lifestyles, teamwork and basic math. Plus, it could even uncover the hidden culinary skills of your child that you didn’t know existed! While it’s impossible to protect your child from the perilous nature of technology on a daily basis, it is essential to make a concerted effort to show them that life also exists outside the digital screens. Encouraging time away from the virtual world, will show your child how to stay relaxed, be more curious and focused on the things that truly matter in the end; family. Just what is psychology you ask? For starters, psychology is the study of the mind and behavior. There are many fascinating aspects about psychology that’s just begging to be unraveled, even if you don’t plan on becoming a psychology major or delving into a psychology-related job. Whether we know it or not, each day we are constantly subjected to psychology on nearly every aspect of our lives. Why we are here, how will I be in the future, how we interact with friends, family, and colleagues; these are all layers that psychology can help you understand better. As you uncover the layers of how development occurs through the ages; how personality is formed, and how factors such as society and culture play a role in impacting behavior, you may find yourself becoming more familiar on why certain influences impact your life in such a way. Being exposed to different psychology research methods can help you understand some of the numerous claims that you’ll stumble upon in magazines, literature, TV shows, and in films. As you become better in understanding psychology, you’ll be better equipped to sort out the truth from fiction that surrounds the many psychology myths that circulate the Web. The next time someone you know behaves the way they do, you’ll be more inclined to understand the underlying influences and motivations that make up their actions. The three elements that are constantly studied in psychology; emotion, language, and body language can help you sharpen your interpersonal communication skills that are essential in today’s ever challenging environment. As you learn more about psychology, you will be armed with the knowledge of the scientific method, decision-making, and problem solving, all integral aspects that will help you hone your ability to think logically and critically when it comes to life’s everyday issues. Yes, there are certainly many exciting careers that one can pursue in psychology that you may be keen to pursue, but choosing to only study the subject can stand you in good stead in whatever profession you may choose. For example, if you choose to become a sales agent, understanding human behavior can improve your chances of landing a sale as you know how to appeal and convince a potential customer. Understanding how people change over time throughout the stages of life can make it that much easier to understand the behavior and why a person chooses to act a certain way and their reasoning for doing so. It can also cast a light on our own experiences as we encounter different challenges and situations that arise through the course of our lives. As psychology encompasses a broad range of topics that range from philosophy, biology to physiology, learning the subject can assist you in gaining a richer understanding of these areas. With psychology, you can learn how certain psychological conditions are diagnosed and treated. You can also determine how mental wellness can be enhanced, how stress can be reduced, how to boost your memory and how to live a more fulfilling life. From the mind boggling optical illusions that tease your brain into making objects appear different from what they truly are to how shocking experiments that show just how people will go to obey a figure of authority, there is always something exciting and sometimes bizarre to learn about the human mind. Yes, not all video games are bad. In fact, they have been proven to be beneficial, helping to enhance hand eye coordination, boost memory and enable children to think outside the box. To help your child obtain the most out of their video game habit, supplement everyday life lessons and crucial study skills into every play session. Video games come in many genres that range from first-person shooters, role-playing games to adventure games and many more – and yes, a wide variety of them aren’t suitable for kids. Which is why it’s important that parents sift through the list of games that are available in stores to see if they are suitable or not. Like adult themes that are prevalent in many movies today, the last thing your child needs is to be exposed to the dark corners of entertainment. Rather than leaving your child alone to be entertained by the flashing lights that flicker across the screen, take part and engage with them and just have a light banter. Video games are easily accessible but can be tough to master. Through multiple attempts at making it past a tough stage, or figuring out how to tackle a particular brain teaser, the sense of satisfaction when one solves it is second to none. Over time, this builds perseverance which in turn teaches children to dig deep and not give up easily. The next time your child is worried about failing an upcoming test, remind her that failing is part of growing up and that every setback offers a chance to pick yourself up to try again. Literacy researcher James Gee recommends using video games to help teach kids to “collaborate to solve difficult problems.” Video games that share cooperative gameplay encourages kids to set aside their differences and work in tandem to make it past an objective. A game session not only fosters teamwork, it’s also great fun for kids. It’s true what they say about practice makes perfect and what better way to teach problem solving skills than by engaging in a game. As he may be stumped on a particular stage or question, a quick hint or encouragement may be all he needs to solve it. Some may enjoy indulging in a quick Sudoku session every now and then, while others may prefer the crossword puzzles that are supplemented in daily newspapers – it’s imperative that parents don’t force their kids to partake in leisure activities that they aren’t interested in. Too much handholding or smothering of affection is bad and can have a detrimental effect on one. Sometimes all we need is a little breathing room to have a little alone time to gather our thoughts. As kids grow up, they will want to start becoming a little more independent and may not want help – even when they need it. Video games are often plastered with helpful onscreen tips that appear when an objective is given or when a player is stumped and starts to wander around aimlessly. Give your child some light reminders by leaving sticky note “hints” to help him get through chores to homework while still supporting his self-reliance. Part of the reason why video games are so popular is that it’s a gateway to stay fully immerse in world that lets us assume the role of a particular character we have always wanted to be. It is one thing to watch a pirate swash-buckle his way through hordes of enemies but another to actually use a controller to work your way around them. Historical games like Assassin’s Creed or Total War can encourage kids to uncover the facts from behind the game. By checking out the many sites that talk about the deep lore that encompasses a game such as Assassin’s Creed, this will in turn foster a habit of researching at a young age. The engaging, highly interactive, fictional worlds of video games are a great avenue for kids to learn and grow. Give your child that extra push into translating games to life lessons, and he might just feel more pumped about solving the challenges that may come his way. There are few decisions more important in a child’s life than where they receive their education. In Malaysia, there are going to be a lot of options. One is going to be to join a Malaysia international school. This is a school that brings together students from all over the world into a melting pot of separate and different cultures. Some schools will have children representing as many as 60 different nationalities. This is a great opportunity for learning, growth and understanding that most people in the world could not dream of. Combine the cultural growth along with the benefits of a boarding school in Malaysia and a child in that experience will become an understanding, wise, accepting and independent adult. Here are some reasons why a person should seriously consider this type of education for their children. Attending a boarding school in Malaysia is going to provide a student the opportunity to work with some highly qualified and motivated educators. They work to provide the highest level of academic support that is encouraging students to reach their peak in academic, emotional and even physical development. In the boarding school atmosphere, there is a constant, kind supervision that allows students to feel a safe part of their international community. Making the choice to work in this environment is one that draws those individuals who are dedicated to helping students grow into their potential. Students leaving these educational experiences are consistently better prepared for the next stage of life. A boarding school in Malaysia is going to provide its students with an educational setting that is totally unique because the classes are smaller and the ratio of students to teachers is ideal to promote a powerful educational experience. They are encouraged to learn how to build camaraderie, friendship, trust, honesty and a power common experience between students and their educators. The community living experience helps to build an awareness and understanding of the needs of others as well as a student’s personal needs. This will lead to a great tolerance for those who are different and an understanding of the diversity that naturally exists in the world. For those who do not attend a Malaysia international school, the transition to college is much more difficult. All of the lessons in independent living learned at boarding school have to be learned when a student heads off to University. This can cause adjustment problems that might affect academic achievement. The skills built at boarding school allow students to embrace the college life and more easily handle the academic expectations. They are well versed in how to study and live independently, which is going to lead to success. Attending this type of school provides a classroom for a student that is working 24 hours a day. The classroom learning is central and always has a personalized feel to it. When living in this environment there is a natural appreciation for a student’s unique qualities that they contribute to the environment. Intelligence, athleticism, curiosity or artistic skills can all be celebrated, accepted and enhanced in this type of educational situation. All students learn to celebrate and appreciate the contributions of others. These lessons can be learned in the classroom, in the dorm or just spending time with friends. Why You Should Take Your Child Into an International School. If a society wants to flourish and even thrive, then the children should be given the proper guidance by their parents and from education. This is because children are the major building blocks in every society. When children are brought up well and educated in the right schools, they build a very secure future for themselves, and the pillars of the society are strengthened. In the modern society, schools are very important. This is because they offer the initiative to give the right education to the kids. Each school has a different mission and goal, and among the galaxy of the schools available, international schools are now trending and stealing the limelight. Most of the International Schools prefer to offer the popular IB/ICSE school curriculum. This system was mainly used for the children that came from diplomats or ambassadors from various countries in the past, but currently, they are open for everyone. International schools in Malaysia are slowly gaining popularity in most parts of the world. Schools such as POWIIS Malaysia admit students from all over the world. Malaysia is known for its good schools, and many parents all over the world prefer taking their kids to these boarding schools in Malaysia. 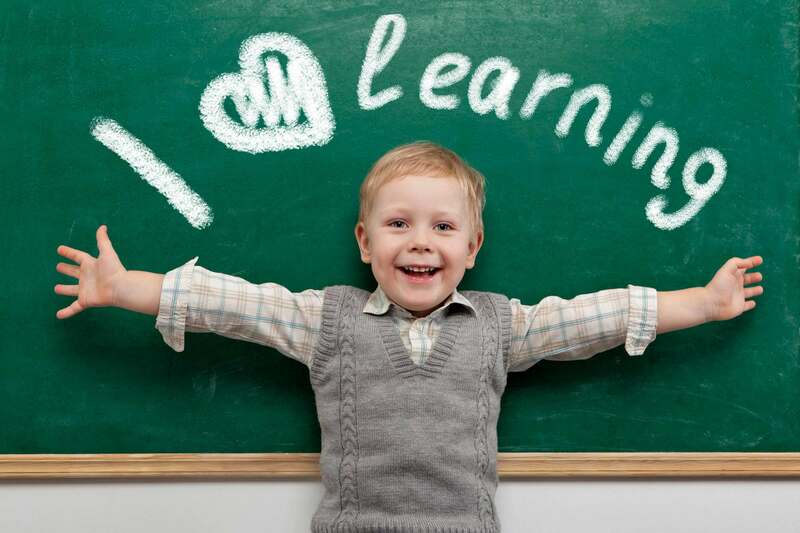 Here are some advantages of taking your child to an international school. Children that school in the international schools are always exposed to many children from several different cultural backgrounds. While in school, they interact with all the kids, regardless of their cultural background. This way, they are able to understand people from different areas of the world regardless of their age. This makes them very responsible adults. In many international schools, English is mostly the common language. These means that the children who come from different parts of the globe have to master the language well very early in life. They also learn the languages their friends speak. According to research, a child who has the knowledge of more than one language develops a better intelligence quotient. When a child goes to an international school, they have to understand how they should behave with people from all parts of the world. These people have different temperaments, and the child has to adapt and get along with everyone. These makes them very responsible in their adult life. Many International Schools that are found in Malaysia offer a special curriculum that mainly enables the students to get the understanding about the entire world. The school environment is also very conducive, and this makes the children get a level of maturity that is very essential in life.